I love Elizabeth Peter’s Amelia Peabody series. This was my first foray into the Jacqueline Kirby series, and the book just didn’t resonate with me. It’s a fine line that an author walks: I adore Amelia Peabody–she’s smart, opinionated, stubborn, and strong-willed. Jacqueline Kirby shares many of the same characteristics, but in her, the traits are annoying instead of endearing. The mystery itself is great fun for fans of Richard III. A society of Richard III enthusiasts meet at a country estate to present papers and see a letter written by Elizabeth of York that proves Richard III’s innocence. A series of cruel practical jokes are played on the members, culminating in attempted murder. Jacqueline Kirby figures out who the culprit is and succeeds in rescuing the victim just in time. It’s a cute mystery in the format of a traditional English cozy. Or, rather, it would be cute if the main character weren’t so freaking annoying! I am always amused by our Japanese friends who completely disclaim any relationship between Japanese cuisine and the restaurant (“Nobu isn’t a real Japanese restaurant”). Whatever the truth of the statement, it is an excellent restaurant, whether truly Japanese or not. 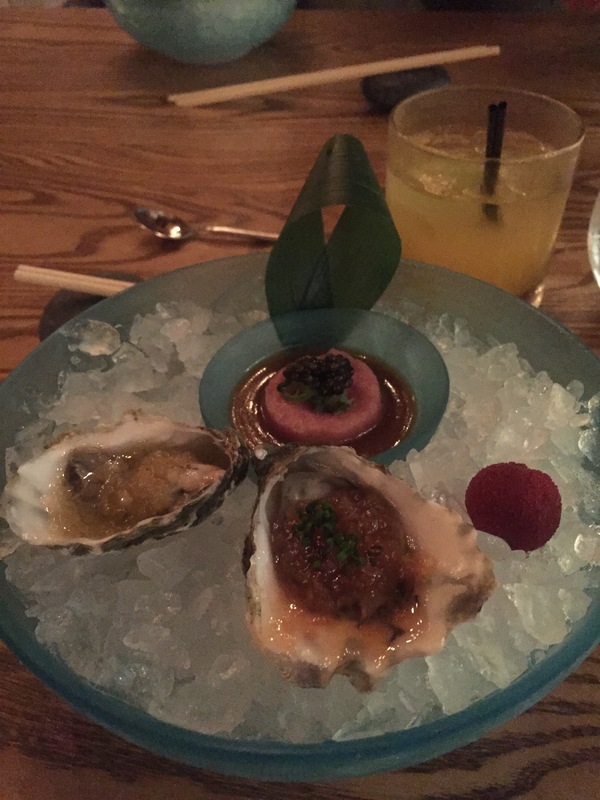 Our first course was raw oysters and tuna tartare in a soy sauce-based marinade. Both were incredibly high quality and delicious. Next was nigiri, consisting of (from left to right) toro, clam, white fish, and fried tofu with spicy tuna. The sushi was melt-in-your-mouth quality, which we have found only in Hawaii and Japan. 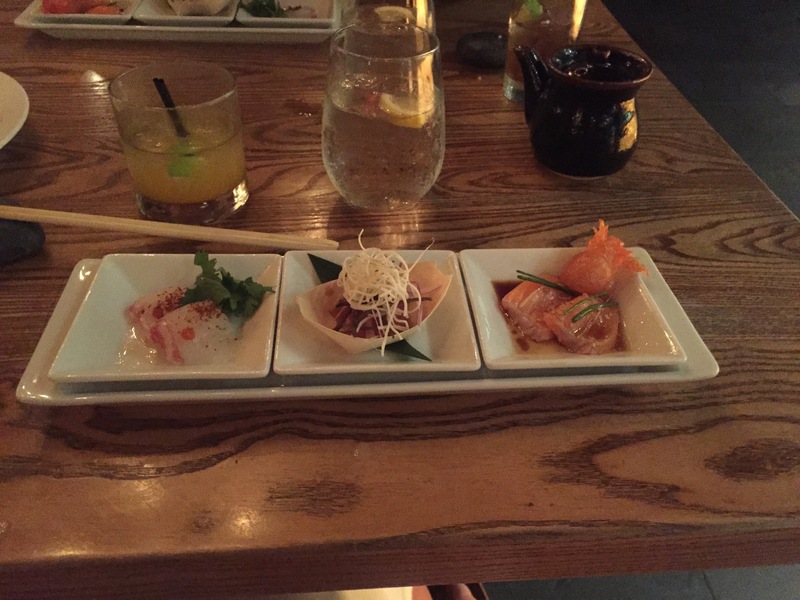 Next up, again from left to right, is red snapper (with a bit of chili powder), Hawaiian poke, and king salmon. My ranking from least to best is right to left, but all three were excellent. The next dish was kampachi with onion sesame dressing. Kampachi is a Hawaiian white fish also known as almaco jack. The fish was incredibly fresh and delicate and matched perfectly with the dressing. 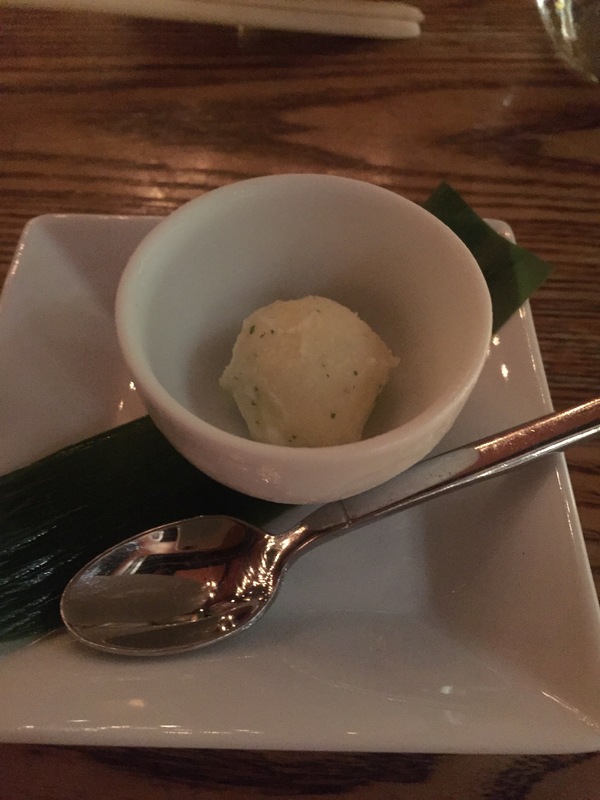 To clear our palates, we were then served a pineapple shiso sorbet. The sweetness of the pineapple was cut by the shiso, and the two flavors melded perfectly together. Onto the cooked dishes: first up was lobster served with wasabi pepper sauce. 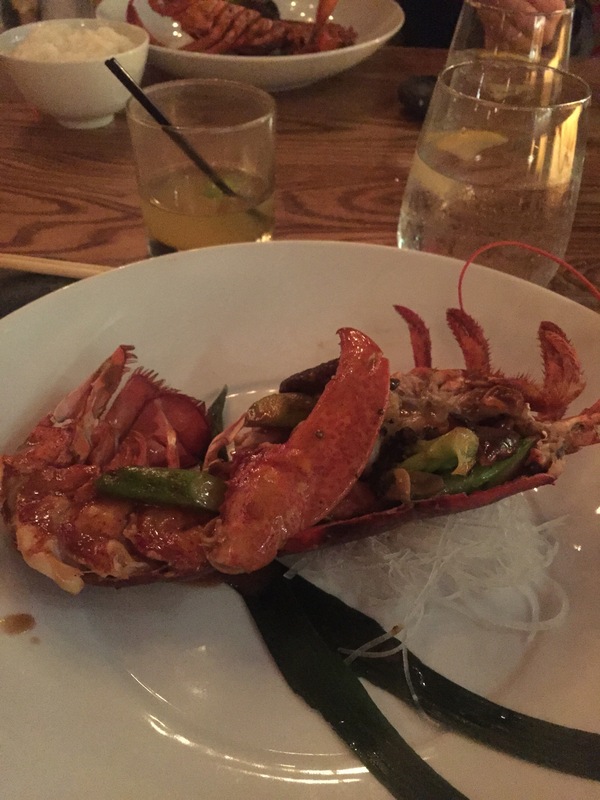 The lobster had been removed from its shell, cooked, and returned to its shell with vegetables and the sauce. It was arguably the best dish of the night. We then were served wagyu beef with foie gras and soy reduction marinade. 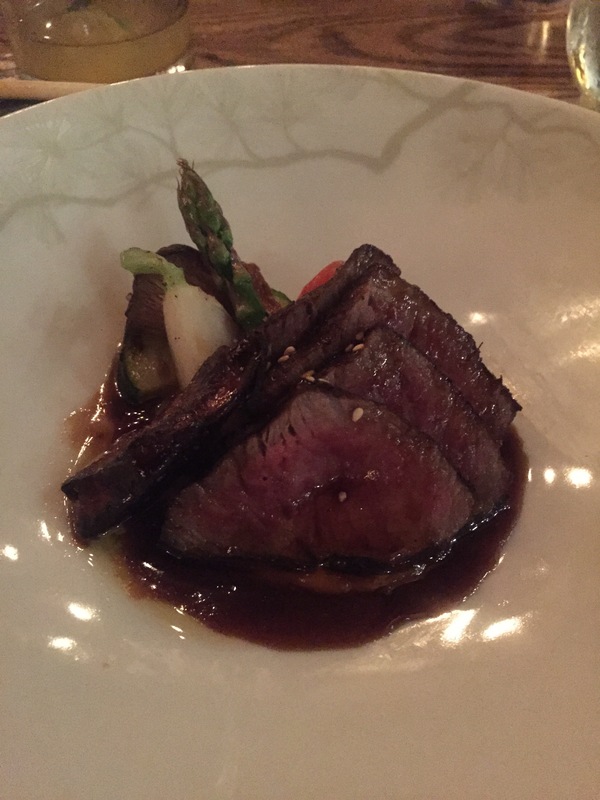 Wagyu beef is the U.S. version of Kobe beef from Japan and while it is not quite as melt-in-your-mouth tender as Kobe beef (where the cows are given daily massages), it was still amazingly tender and flavorful. The foie gras added additional richness while the soy marinade gave the dish a bit of astringent balance. 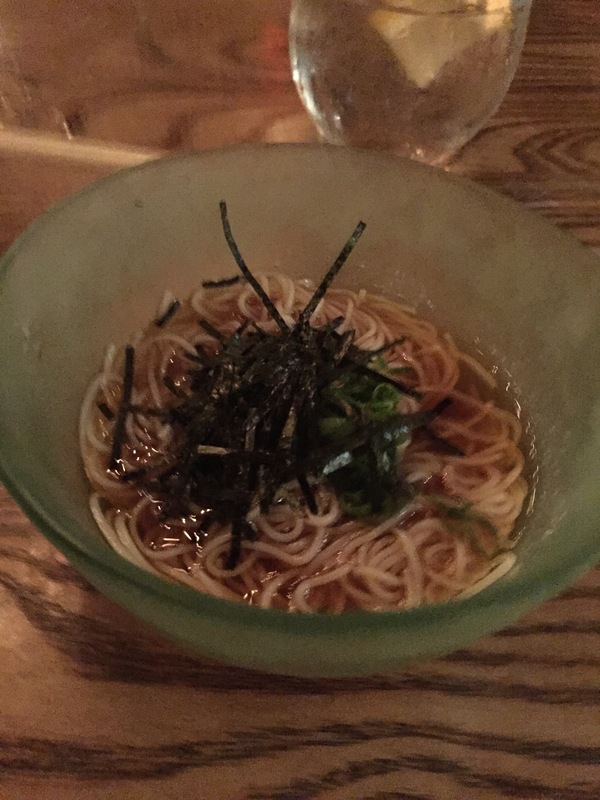 The final non-dessert dish was a bowl of dashi cold noodles. I am not a cold noodle fan myself, but the dashi flavoring was excellent (and the only place I’ve ever found it as good has been Tokyo), and the noodles were surprisingly delicious. And dessert (also very un-Japanese) was a maple crème brûlée. I was so stuffed by then that I only took a couple of bites, but it was very well done. I will leave the argument as to whether Nobu is truly Japanese or not to those who care about such things. 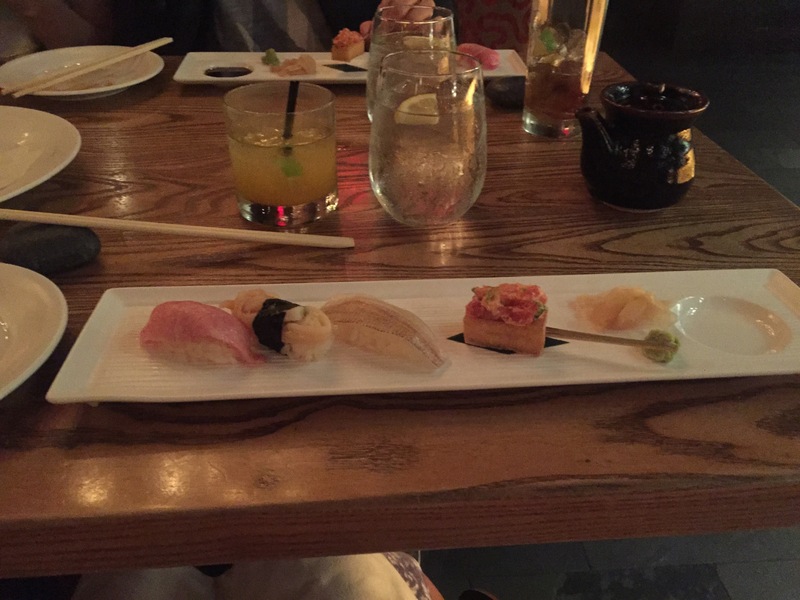 Whatever it is (or isn’t), Nobu is a truly excellent restaurant with delicious and beautifully presented food. Nobu is located at Waikiki Parc Hotel, 2233 Helumoa Road, Honolulu, HI 96815 (www.noburestaurants.com/waikiki). I have really loved this series, whose premise is centered on Sherlock Holmes coming out of retirement and marrying a young woman very much his intellectual equal, named Mary Russell. Unfortunately, as of late, the series has gotten a bit inconsistent. The eleventh book of the series, “Pirate King” is an excellent example of this inconsistency. The premise of the book is a whimsical one: Mary Russell masquerades as a director’s assistant of a film about the making of a film of “Pirates of Penzance” (the Gilbert & Sullivan operetta). There’s a question of some drug smuggling and gun running taking place during the filming of previous films, and Mary decides to help out her Scotland Yard friend, Lestrade, and investigate (and also avoid her brother-in-law, Mycroft, who is planning a visit). The interweaving of the “Pirates of Penzance” plot with the mystery is fanciful and well done. The secondary characters are well-rounded and interesting. But the book is a little…boring. The mystery isn’t particularly compelling or convincing. And there was very little interplay between Holmes and Mary, which is the strength and charm of the series. There were a few unexpected plot twists, but, in the end, the book’s ending was a bit anti-climactic (and, to tell the truth, I stopped caring about who had done it several chapters before the book ended). In fact, the best part of the book was the inclusion of a “prequel” short story called “Beekeeping for Beginners,” which was a charming story of how Mary met Holmes, from Holmes’s perspective. That was fabulous! 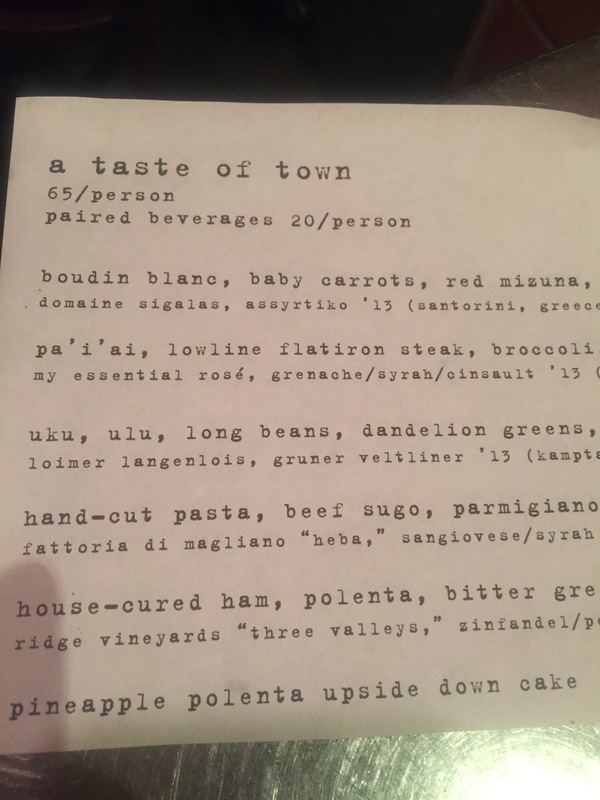 One of favorite restaurants in Honolulu is Town, a restaurant nestled in an interesting part of town with a hipster vibe and some of the best food on the island. 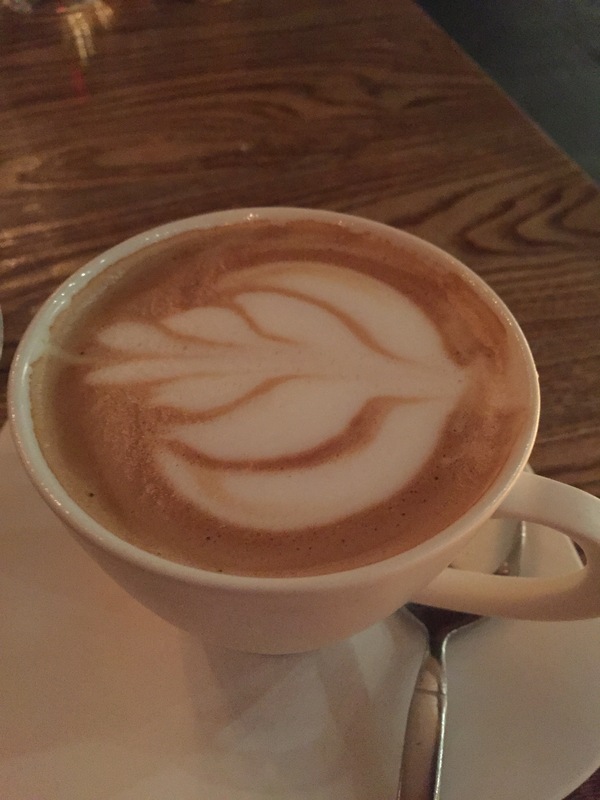 The emphasis is on local and organic ingredients, and the kitchen’s passion for quality ingredients is equally reflected in the care of its cooking. Town doesn’t serve fussy food, but the dedication and talent in the kitchen is reflected well in the food that it serves. We discovered a tasting menu being offered when we were there last week. 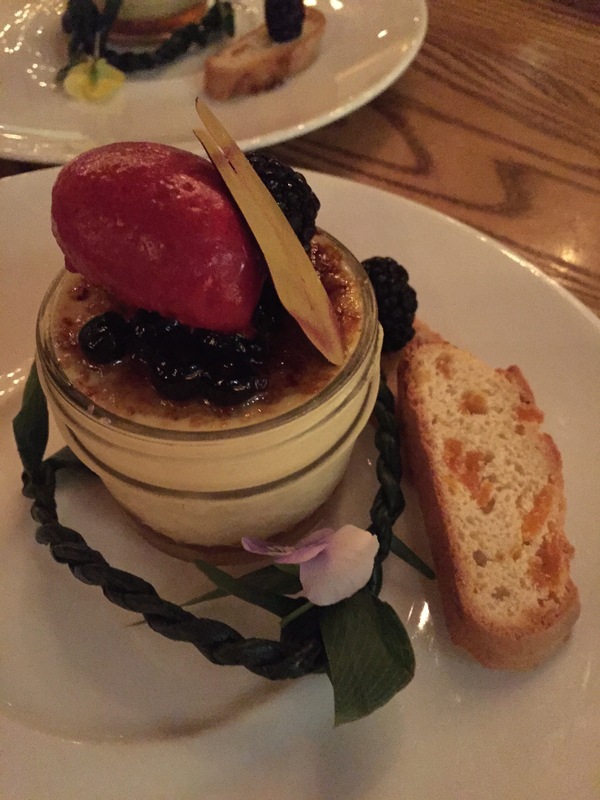 Since we decided we were going to eat there twice in the week we were in Honolulu, we thought the tasting menu would be a good way to start the week. 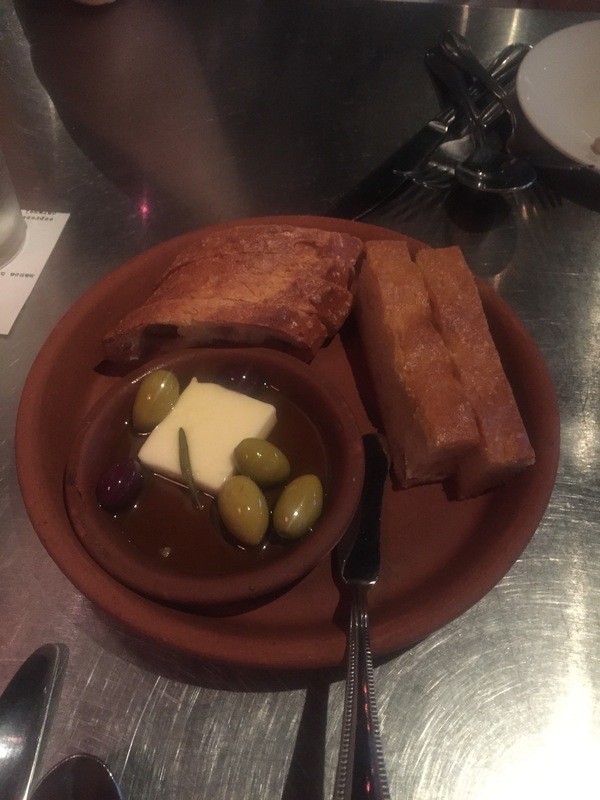 We started off with the bread and olives that Town serves all guests, followed by the amuse bouche. 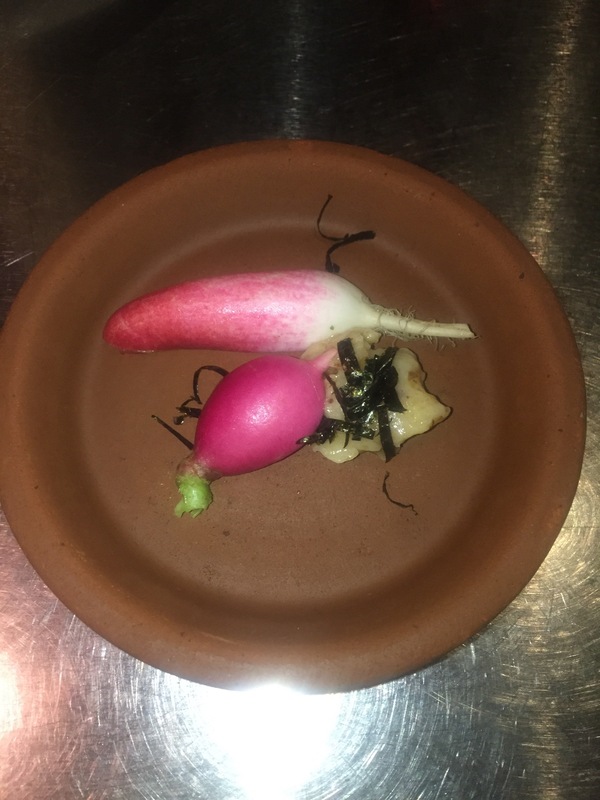 The tasting menu started off with what we thought was the best course of the evening—boudin blanc, baby carrots, red mizuna, and pickled onion. 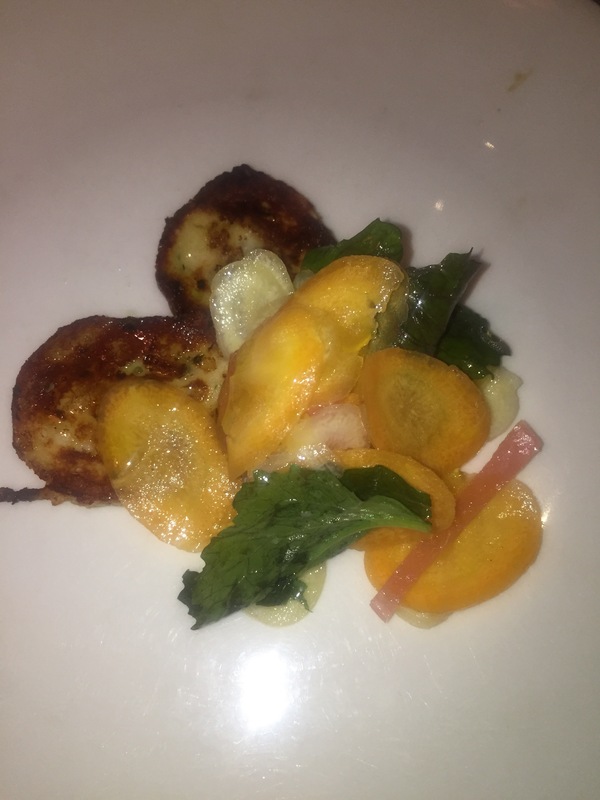 The tartness of the pickled onion went well with the more mellow flavors of the carrots and the richness of the boudin blanc. 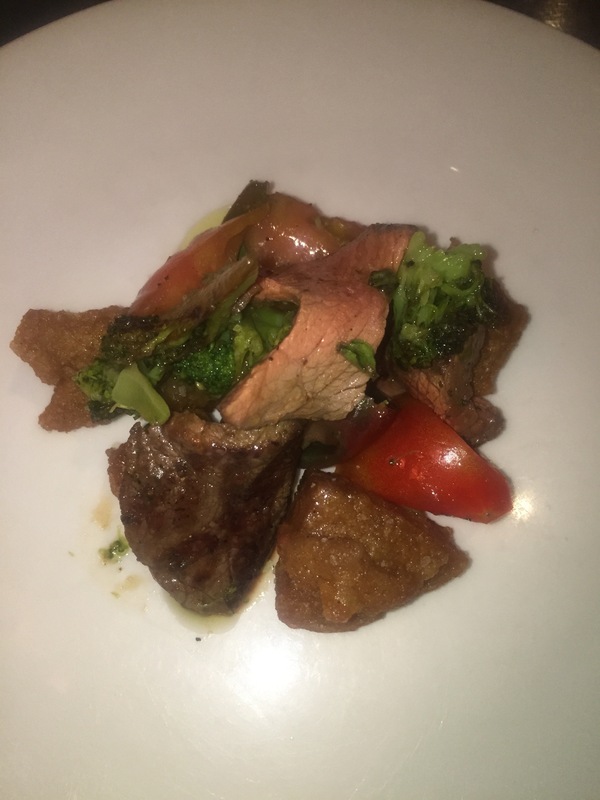 Next up was pa’i’ai, butcher’s cut steak, broccoli, heirloom tomatoes, and oregano. This dish does not sound like it would work, but, somehow, the flavors meld together beautifully, and the steak is extremely flavorful and tender. 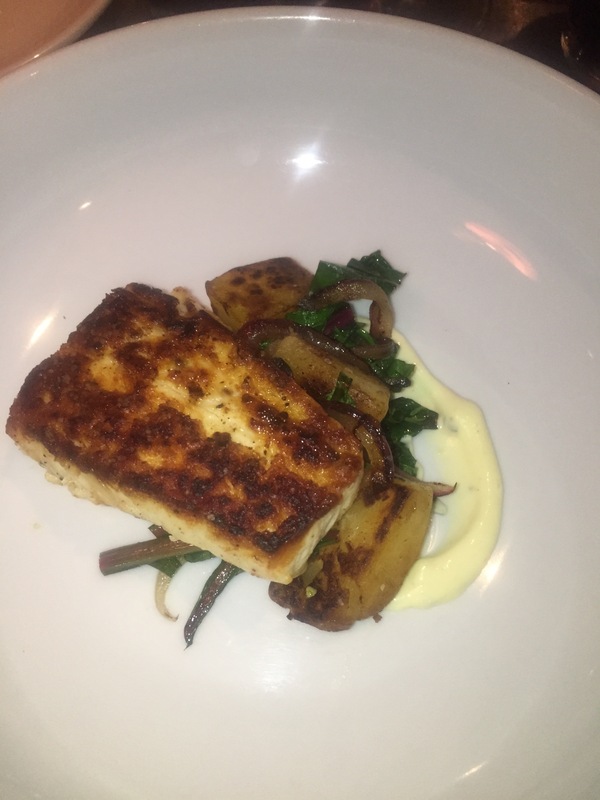 The fish course was made up of uku, ulu, long beans, dandelion greens, onion, and preserved lemon aioli. 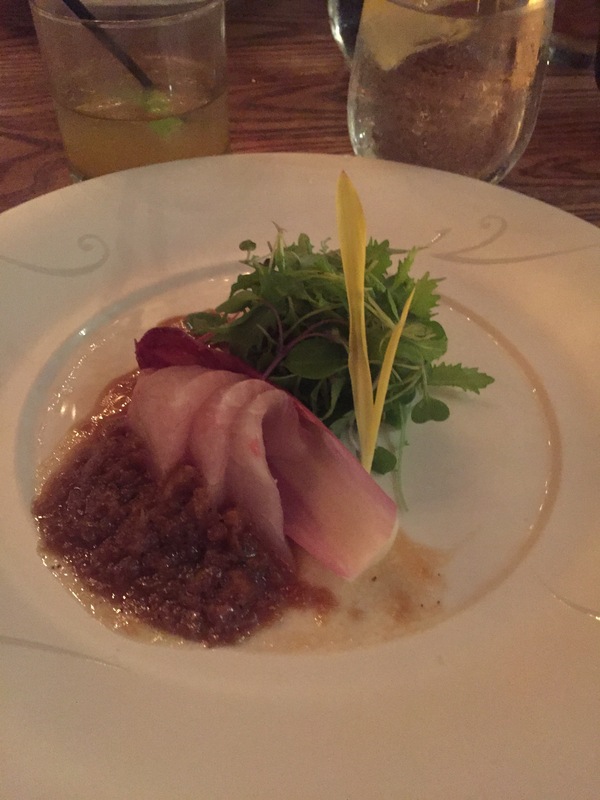 I’m not a fan of dense white fish (such as swordfish), so the uku was not a favorite. That being said, the flavors worked well together, with the slight bitterness of the dandelion greens adding flavor to the fish. 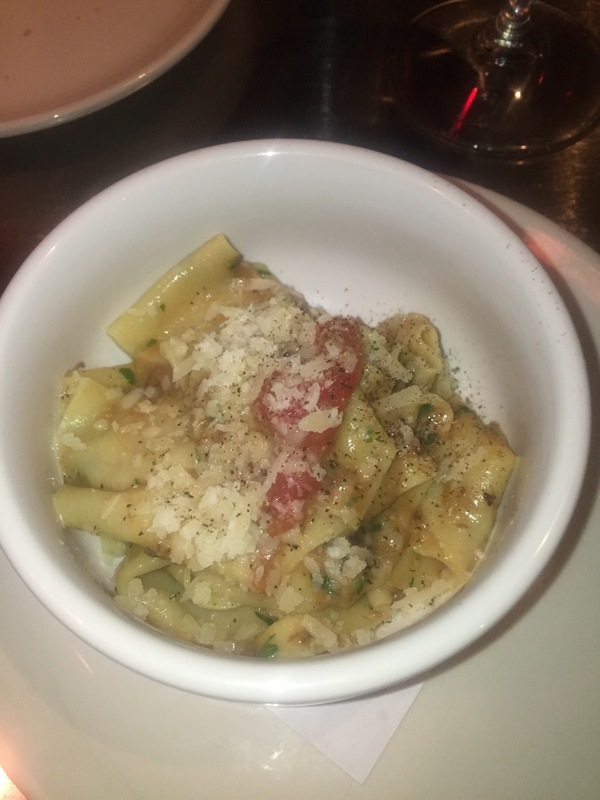 One of Town’s strengths is its pasta. The hand-cut pappardelle, beef sugo, and parmigiano was excellent. The pappardelle had great texture, and the beef sugo was full of flavor. The final entrée dish was house-cured ham, polenta, bitter greens, gribiche. This dish, I’m sorry to say, was a failure. The ham was excellent, but it was served thinly sliced, sandwich-style, which did not mesh well with the polenta and bitter greens. If they had done a whimsical ham sandwich, that might have worked. 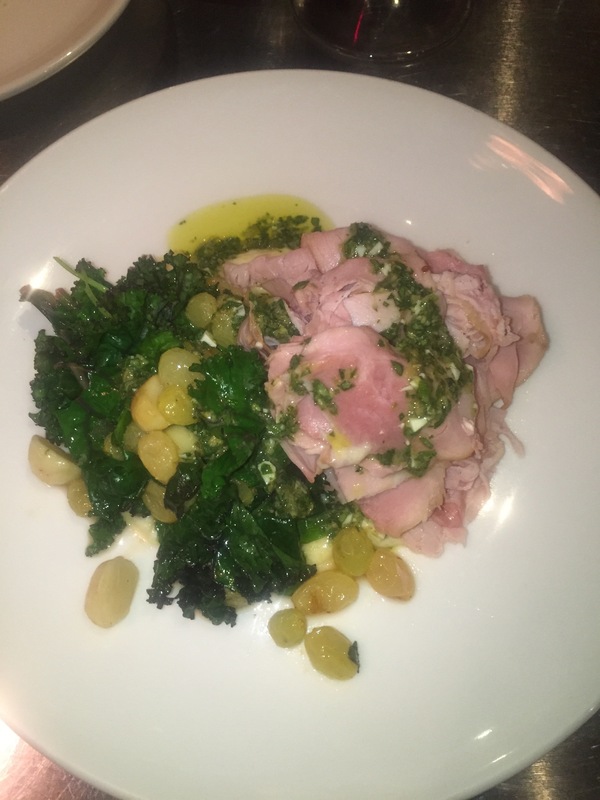 But the ham looked like it could have been served at a neighborhood deli (and while I like neighborhood delis, that is not what I’m looking for in a tasting menu at a restaurant). Bizarre. Dessert was pineapple polenta upside-down cake. This was much better than I had expected, as I’m not a fan of polenta. 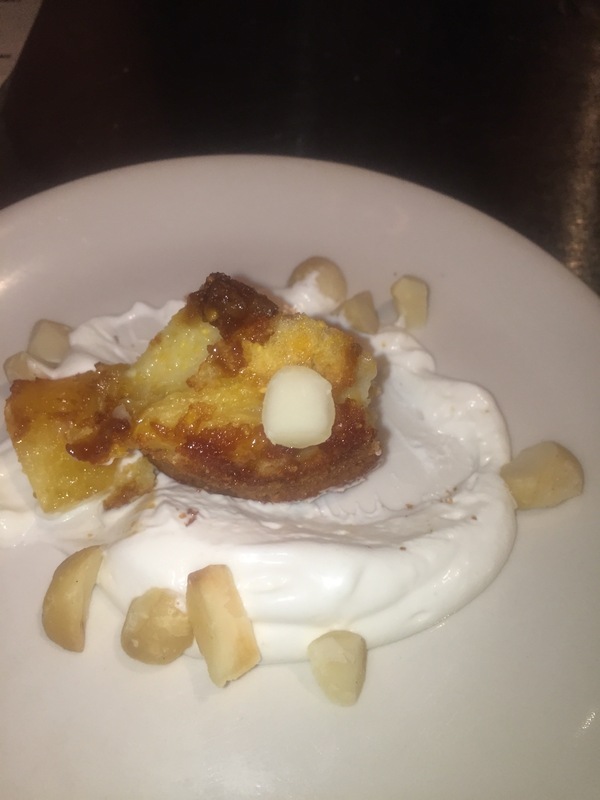 But the polenta gave the cake a chewy texture, and the pineapple was sweet and flavorful. Town is located at 3435 Waialae Avenue #104, Honolulu, HI 96816 (www.townkaimuki.com). “Smoker” is the third book in the Atticus Kodiak series by Greg Rucka. The author has become my favorite author in the thriller genre for his clever plots, well-rounded characters, and lack of overly gratuitous violence (although violence there is–it is the thriller genre, after all). This book has the cleverest plot of the series, so far. Atticus Kodiak is hired to protect someone with a stalker girlfriend, and through some clever twists and turns, it turns out that that is the least of Atticus’s challenges. Intertwined with Atticus’s professional bodyguard challenges are his personal challenges with a friend that he’s sleeping with and a love interest that he’s not sleeping with. (Like I said, it’s complicated.) The secondary characters are well-written and interesting. On the other hand, the overall plot stretches credulity a bit, and I’m not a huge fan of making tobacco companies the bad guys, as happens here. But these are minor quibbles, and “Smoker” is a fast and fun read.